The Health and Wellbeing Board (HWB) has a statutory responsibility to prepare a Joint Strategic Needs Assessment (JSNA) for Swindon. 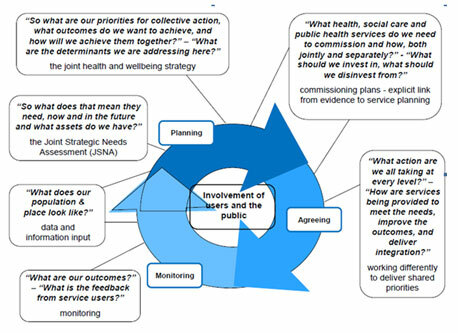 The JSNA is not an end in itself, it draws together key themes from available evidence and describes the current and future health and wellbeing needs of the people of Swindon and is the principal workstream to inform the Joint Health and Wellbeing Strategy (JHWS). The JSNA highlights the importance of local partners working together to improve health and wellbeing and to reduce inequalities. The main audience for the JSNA are health and social care commissioners who use it to plan services. This includes partnership bodies such as the HWB and One Swindon, commissioning bodies such as Swindon Borough Council and NHS Swindon Clinical Commissioning Group. The JSNA is used to guide strategy and is an integral part of the commissioning cycle. If you would like any further information of have a questions, please visit the contact page on the website to find out how to get in touch.